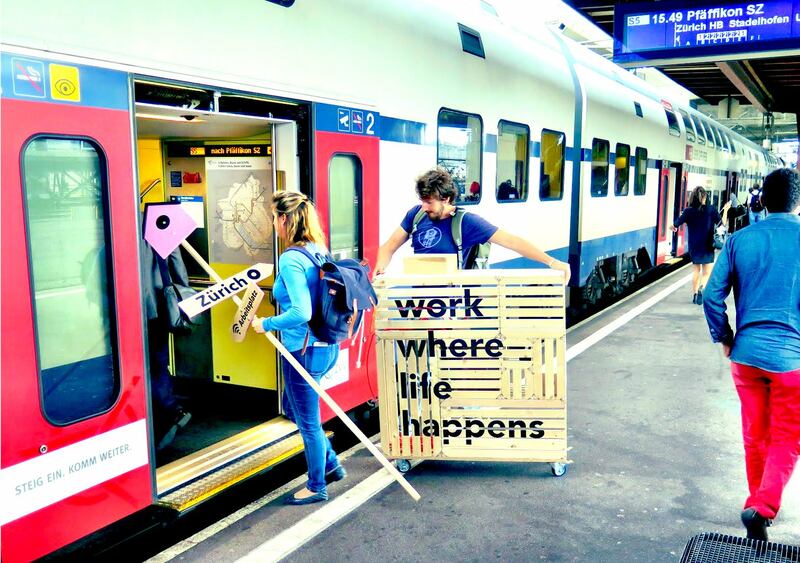 PopupOffice is building a centralised booking platform for shared workspaces in Switzerland, and is thereby reacting to a big trend. To respond to the high demand for alternative workspaces, PopupOffice is additionally searching to turn temporarily under-used places such as cafés and showrooms into workplaces. 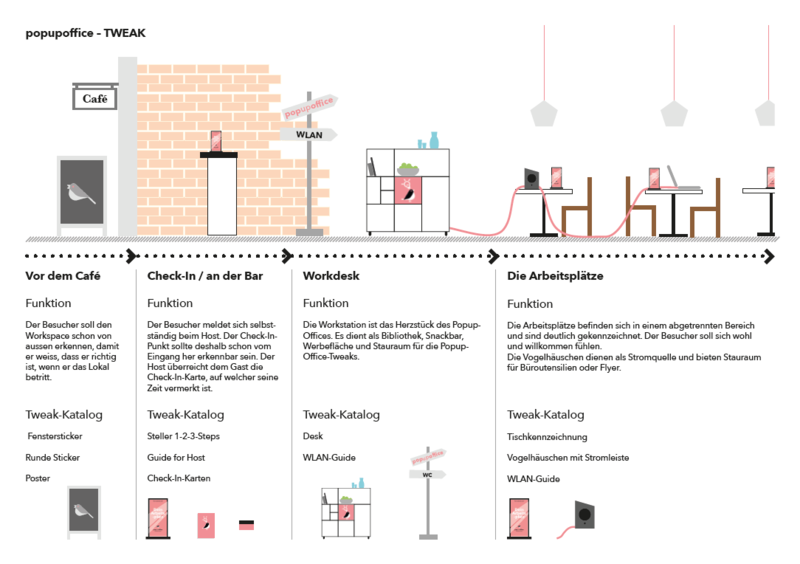 This case study is about how we designed the non-digital aspects of the user experience. 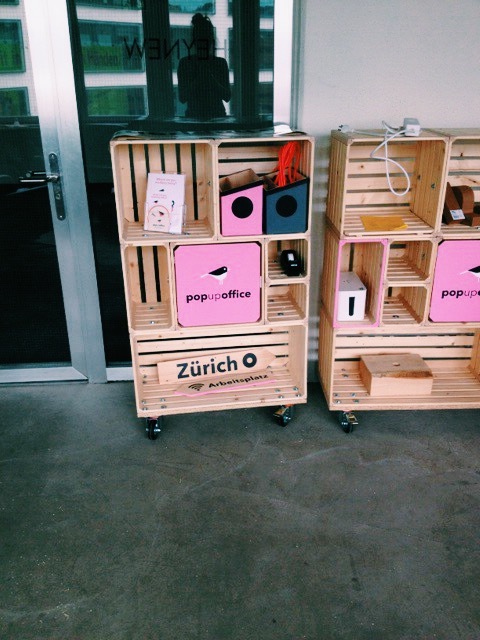 PopupOffice brings together two different stakeholders: digital nomads and owners of cafés and showrooms which are temporarily turned into co-working spaces – both of them are PopupOffice customers. On the one hand we had to design the experience of these two user groups with PopupOffice, but we also had to ensure the real world encounter between them would be as smooth as possible. 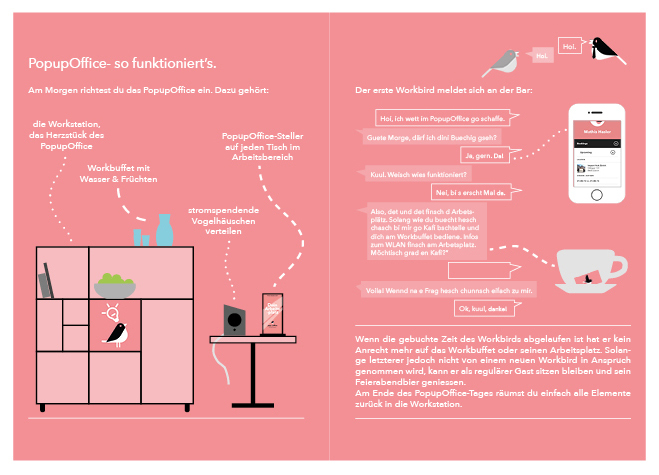 In order to test the customer experience we built prototypes of the physical touch points, acted out the flows and interactions and conducted interviews with potential users and workspace-hosts. Some of the final physical touch points were a guide for the staff working at the space, the “work station” that contained office materials and signs to mark the tables dedicated to co-workers.